The guillotine choke is a staple of the closed-guard position, but it's also frequently used against a takedown. 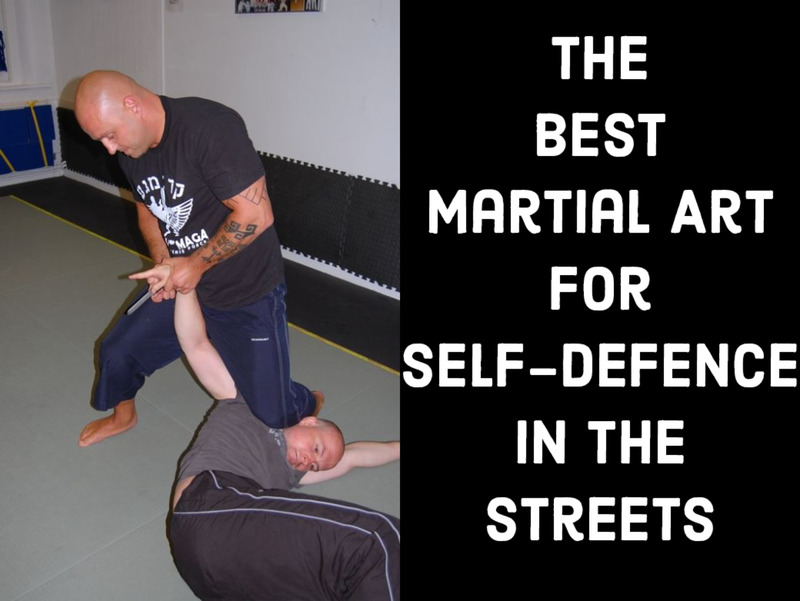 Both applications of the technique are among the most commonly seen moves in jiu-jitsu, especially in no-gi or MMA training. While the gi makes it a little tougher to catch the guillotine, it still persists, and a general defensive strategy is well worth pursuing. This tutorial will cover defense against the basic guillotine grip, both on the ground and (starting) on the feet. Starting in your partner's closed guard, allow them to set up a guillotine with their right arm snaking around your head. Their left hand should grab their right wrist to close the choke. 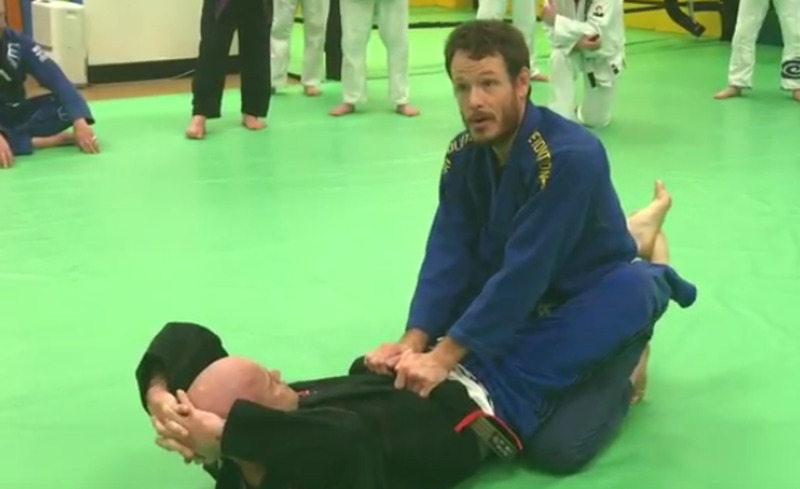 If you're practicing this move with your partner for the first time, make sure they can extend you away with their legs initially, ensuring that they can finish the choke. 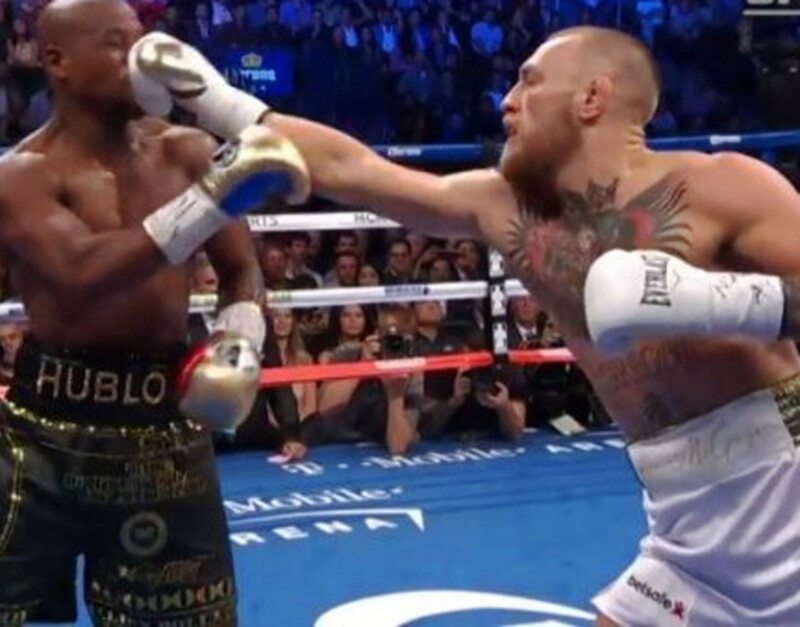 Now that you know their attack is solid, keep in mind that they need to guide your head to the ground in order to be able to create an effective angle to finish the choke. Next up, pinch your hand to your shoulder, creating brutal shoulder pressure for your partner. 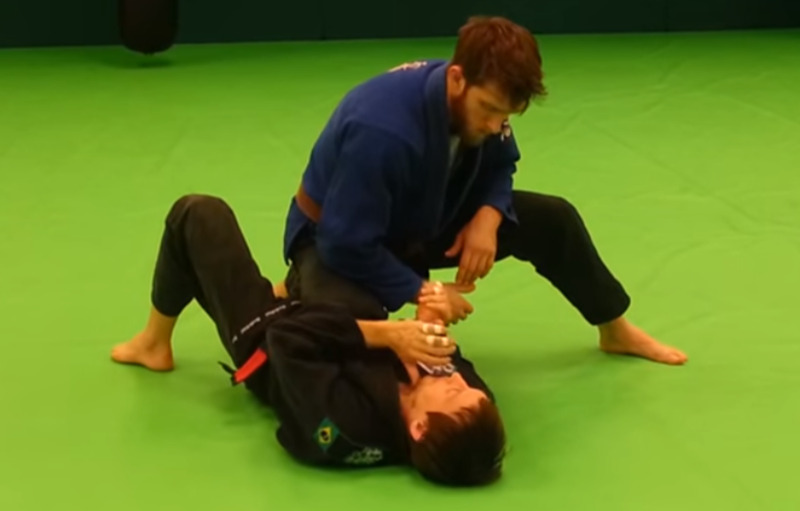 Many instructors will also advocate pulling the wrist away from your neck, although I personally don't use this at all (I would rather have that hand free for base, as it does virtually nothing to stop the guillotine once it's sunk in). From here, you are far, far more likely to be able to put your partner to sleep than the other way around. Your partner is more likely to let go of the guillotine than to go to sleep or tap, although any of these options might happen! Be ready. There are a great deal of similar elements with the defense to the guillotine on the feet to those we've already covered from the guard. Once again, your partner is using their right arm to snake around your head, simply making a fist (not using any of these fancy variations), and grabbing their wrist with their left hand. Here, it pays to start by addressing the arm around your neck first, as you can't simply shift your weight as you can when your partner's back is on the mat. Pull downward on their wrist in order to create a hair of "breathing room" (remember that the flow of blood to the brain is what is going to put you to sleep, though), and throw your right arm all the way over their shoulder and neck, just like before. This time, pull down with your shoulder (again, grabbing their lat muscle for an anchor). The goal here is to shift their shoulder positioning at an angle sufficient to relieve the pressure on your neck, while simultaneously using their neck and shoulder as a climbing tool of sorts. Look up to the sky as you do this so that your neck will also relieve its own pressure, so to speak. 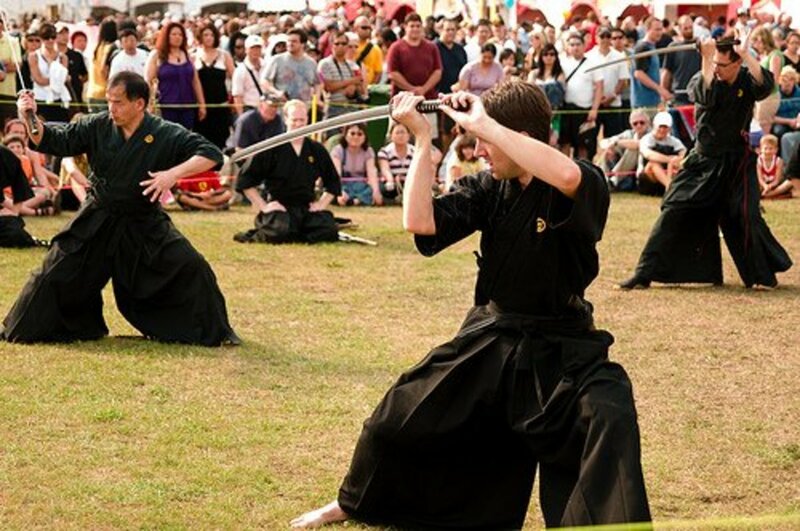 From here, shuffle your feet in the direction of the arm you have draped over their back (your right side here), and take your partner down with a knee chip or ko soto gari style takedown. If needed, defend on the ground as before. Defending a guillotine used to be a mystery to me, as I started BJJ during an era when the dissemination of information wasn't 1/100th as effective as it is today. As a result, I was delighted to learn that not only could I defend the choke, but I could also turn the move into my own choke, opportunistically countering their move into my own advantage. This is, by far, my favorite type of jiu-jitsu: allowing someone to think they have the upper hand, then flipping it on them. As always, let me know if these techniques work for you!